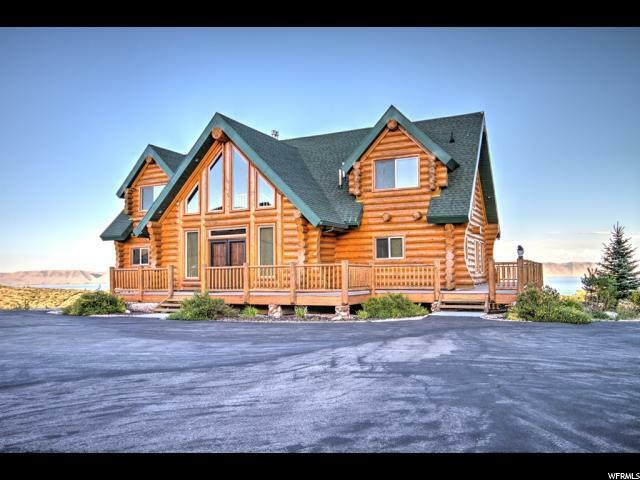 REDUCED!1 Beautiful custom log home in the gated community of Canyon Estates. Amazing views of Bear Lake, mountains and canyon. 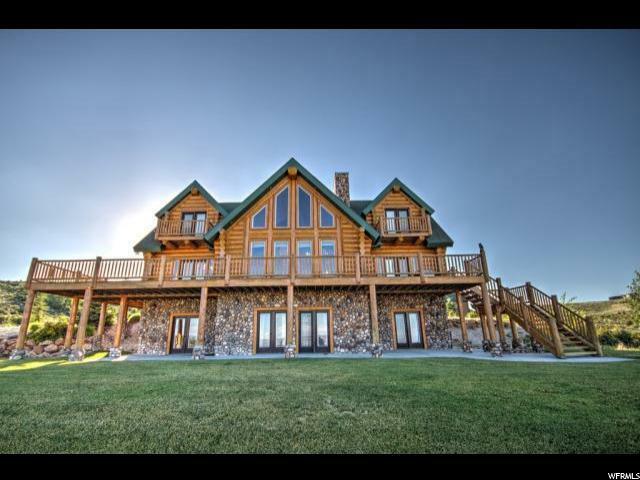 Large stone fireplace in great room, open floor plan with large dining room with amazing surround view windows, great kitchen with granite and stainless steel. Deck runs the length of house, downstairs has a huge family room with a walkout basement to a grassy play area. 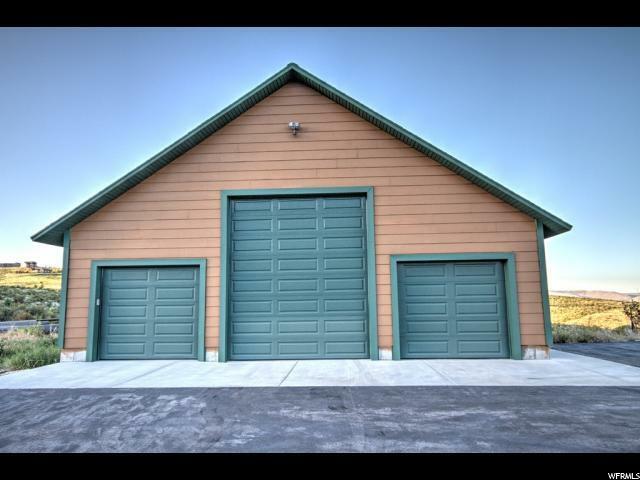 Oversized 3 car garage, 40' by 42' with two 8' doors and one 13' door (large enough for an RV)! Oversized paved driveway and parking area and plenty of room with 5 acres.